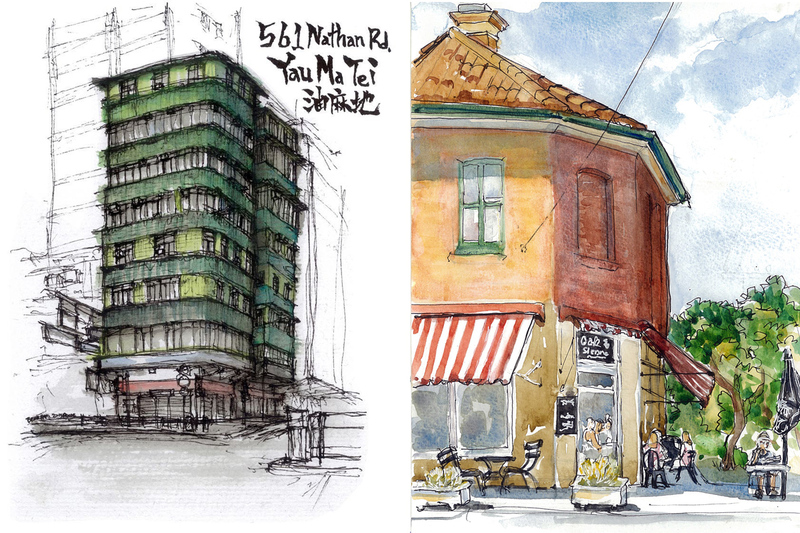 On returning from the Urban Sketchers Symposium in Singapore last year, several of our local Sydney sketchers commented on how great it was to meet so many international sketchers in person. As a relatively isolated region from other countries we set out to find a way to grow our connections with overseas groups a little further, sharing our cultures, cityscapes and experiences with others, whilst we further develop our appreciation for theirs. 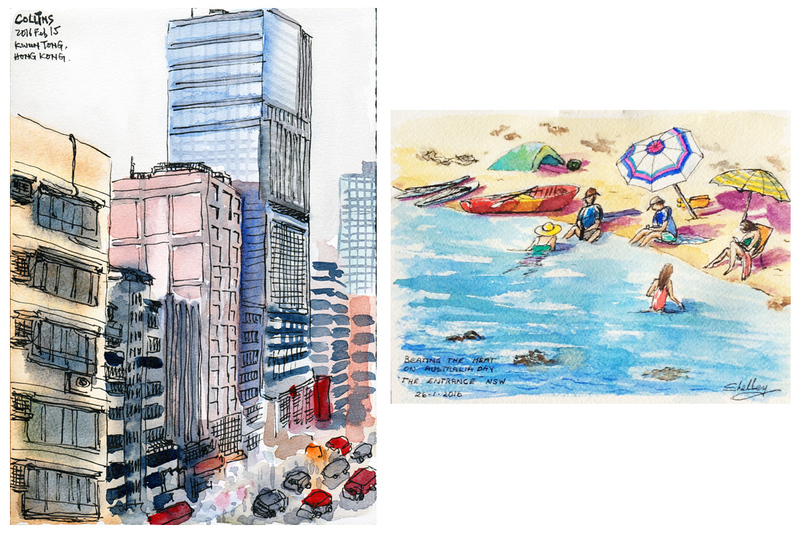 As you can see we chose to do a sketch swap, and elected for our first to be with Hong Kong as a result of meeting some of the lively, passionate, talented and dedicated group in Singapore. 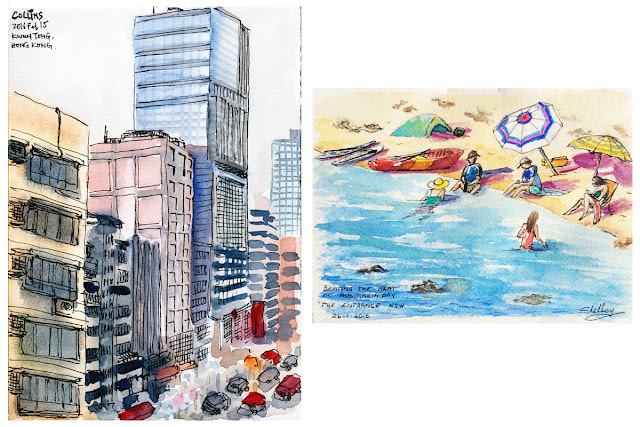 Thankfully they accepted our suggestion and now several months later we are celebrating a very successful sketch swap between Urban Sketchers Sydney and Urban Skechers Hong Kong. Thank you USK Hong Kong for sharing your beautiful work with us and to Alvin Wong for your continued enthusiasm and dedication to help make this all happen! Sketchers were guided by the theme of choosing something representative of their city or an event special to them during December, January or February. Due to the number of sketches swapped (54 in total) our images will be shared online in a series of 3 posts. Sketchers were paired for direct swaps and are presented side by side (click on images to enlarge view).